A man bitten by a shark off Cape Cod this month said Tuesday he escaped by punching the powerful predator in the gills after it clamped down on his leg. In his first interview since the August 15 attack, William Lytton said he'd been swimming in about "8 to 10 feet" (2.4 to 3 meters) of water off Truro, Massachusetts, when he felt an incredible pain shoot through his left leg and quickly realized he was being attacked by a shark. 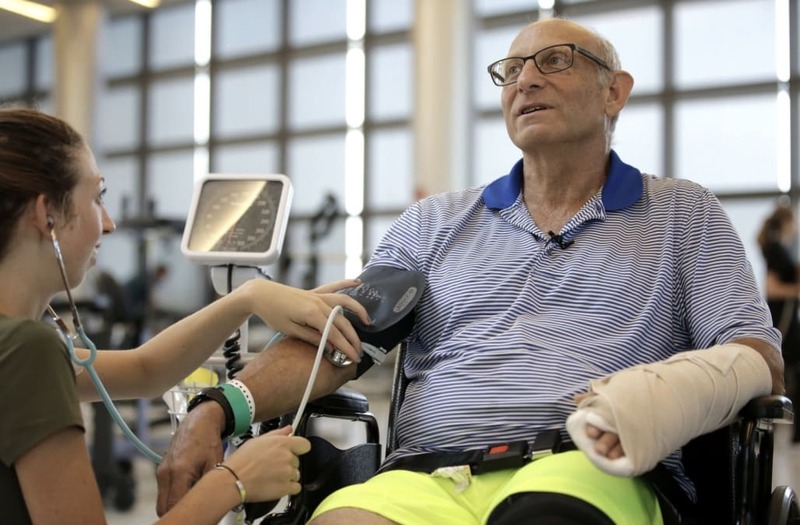 The professor at SUNY Downstate Medical Center in Brooklyn said he's grateful to be alive, but knows he has weeks more of rehab — and at least one more surgery — before he's back on his feet.